CreditRepair.com is quickly becoming one of the most popular credit repair options for people with bad credit. They’re designed to be a one-stop solution for customers who want credit repair and credit monitoring all-in-one. Their comprehensive solutions allow people to stay on top of their credit scores 24/7, even when they are away from the computer. The included credit monitoring from TransUnion adds significant value as most credit monitoring services can cost anywhere from $25 per month and up. This credit repair company is best for people who want continual information about the credit repair process. CreditRepair.com provides both email and text alerts when significant changes are found on your credit report. Being alerted to these changes right away can ensure that false or misleading information is removed from your credit report as quickly as possible. While CreditRepair.com costs a little bit per month more than Lexington Law or Sky Blue Credit Repair, they do offer credit repair and credit monitoring all-in-one. It’s a great pick if you’re looking for both services because you’ll save a lot of money instead of signing up for credit repair and credit monitoring separately. With over 22 years of experience and countless inspiring testimonials from clients across the country, you can trust CreditRepair.com to provide you with top quality service and assistance with getting your credit back on track. “Thanks to creditrepair.com, I’ve finally been able to qualify for an auto loan to get a much-needed new vehicle for the family! In just one month I’ve had two negative items removed that were keeping me from being able to qualify for the loan that we needed. Can’t say thank you enough!” – D.D. Working with them was the best choice that we could’ve ever made. We closed on our home three months after they cleaned up our report!” – T.S. “Charge-offs from medical bills and a bankruptcy due to health issues had ruined my credit. It was impossible for me to qualify for even the worst credit cards, and I had a lot of difficulties getting back on my feet. CreditRepair.com outlines its process in three simple steps: check, challenge, and change. Upon sign up, they check your credit reports. Then, they organize it in a way that helps you identify items you want to dispute or have updated. Once you’ve chosen the accounts you want to challenge, they put together a game plan to help you get your desired results. Once they have a strategy in place, they work directly with your creditors and communicates with the credit bureaus to confirm that the appropriate changes have occurred. It’s a simple, straightforward process that keeps you involved without having to take on the weight of the individual tasks associated with credit repair. You also receive score tracker and analysis tools to help you keep up with your credit score and continue strengthening it with your current financial habits. The length of the entire process depends on your goals, your situation, and how much work needs to be done. CreditRepair.com’s professionals get to work quickly and efficiently on your credit reports so that you can achieve the best results possible. While they can’t offer a specific guarantee on the amount of time your credit repair will take, they do offer a transparent tracking process. You can check on your progress at any point by logging onto the free app for either iOS or Android. Of course, there’s also an online dashboard available where you can log in and track your progress and you can even sign up for email or text alerts. You never have to wonder what’s happening with your credit because all of the information you need is at your fingertips, day or night. No, there is no mention of a guarantee on their website. Results depend on how your creditors and the credit bureaus cooperate and are impossible to predict. However, they do say that members see an average of 7% of negative items removed each month they’re enrolled in the program. Another statistic on their website states that some members see an average increase in 40 points over four months. Again, these numbers aren’t guaranteed but can give you an idea of realistic expectations to keep in mind when working with CreditRepair.com. 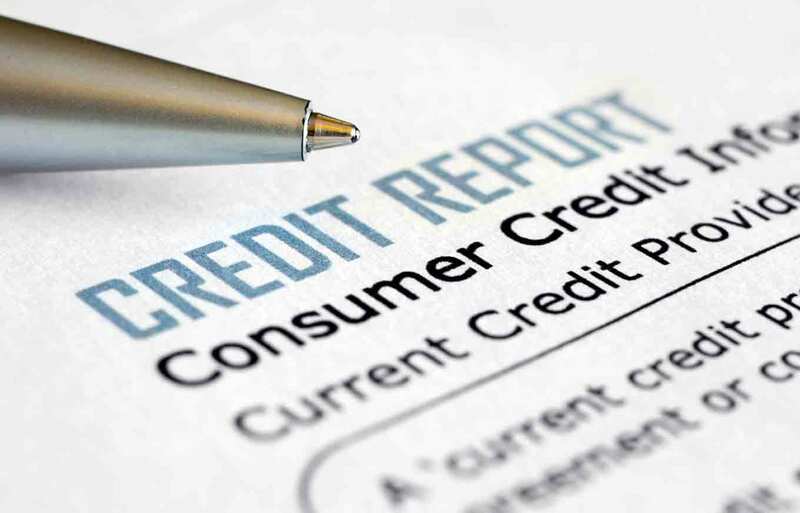 Which items on my credit report can be removed? Any item that has been placed on your credit report, including bankruptcies, late payments, repossessions, hard inquiries, collections, judgments, charge-offs, and any accounts affected by identity theft can be removed from your credit report. That doesn’t mean they will be, as there are no promises or guarantees, but they absolutely can be. Even if most of your negative items on your credit report appear to be accurate, there is a lot of information that goes into a single entry. CreditRepair.com checks to not only make sure your credit data is accurate, but also that it’s timely, substantiated, and fair to you. All of their work falls within your rights under the FCRA so they can be a great resource to help your credit. CreditRepair.com vs. Lexington Law – who’s better? Lexington Law and CreditRepair.com are two of the biggest names in credit repair, so they get compared a lot. We have reviewed and presented the facts for each company, but we encourage you to give them each a call and choose who you think will do the best for you. During your call, you can review your specific credit and financial information and listen to each company’s approach. You should also consider pricing and the extra perks that each company offers because different people value different services. Do your research so you can make a fully informed decision you can feel good about. They are based in Seattle, Washington with a few offices throughout the country. However, it’s unnecessary to visit their offices as you may call or email their advisors from anywhere in the country. Don’t forget you can also access your account through your computer, smartphone, or tablet. It also doesn’t matter where you live; they provide services in all 50 states. The cost is $99.95 per month, plus a one-time charge of $14.99 to obtain your credit reports. You can trust that there are never any hidden fees. These listed costs are the only ones you’ll ever pay with CreditRepair.com, which can be a huge relief if you’ve dealt with less reputable companies before. Does CreditRepair.com offer a discount for family members or couples? Yes, they offer a couple’s discount of $100. You do not have to be married to the second person to receive the discount. So if you want to enroll with a friend to try and fix your credit scores together, you can still take advantage of these savings and each take $50 off your first payment. They can be reached at (855) 255-0265 during business hours. If calling after hours, you can leave a message for someone to respond to you the next business day. What are CreditRepair.com’s call hours? How do I cancel with CreditRepair.com? You can cancel anytime with no further obligation. There are no contracts or pre-set obligations so it’s quite easy to do. Once you’ve achieved the desired results, give them a call to let them know you’d like to cancel. You won’t be billed further. It’s a low-pressure process once you’re ready to wrap up your credit repair journey.